OTR Candy Bar sources both artisan and bulk candies locally and nationally. Their soda selection is a mix of modern favorite and retro styles, any of which can be turned into an irresistible soda float. It is their goal to help satisfy the sweet cravings of our Queen City and be a regular stop in the wonderful shopping experience that is Findlay Market. Family and friendship is what brought this dream to reality. The Muck, Recht and Petzelt families loved being a part of Cincinnati's historic Over-the-Rhine district. They wanted to build something where they could have fun and grow a business with all of their families. After a Muck family vacation spent with his children, he came home to Cincinnati with a serious craving for their own "sweet spot". The OTR Candy Bar dream was born in April of 2015. 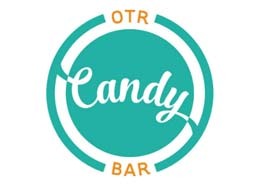 OTR Candy Bar offers offers a vast array of local and national candies, retro sodas, soda floats, specialty gift baskets, and Cincinnati-themed goodies.